To be honest, I am not quite sure how I feel after that game. Saints go into the International break on the back of a couple of wins in the League. In fact going back over the last ten games, the record is Won 6, Drawn 3 and Lost 1. By the way, that loss was at home to Manchester United back on the 20th September. However, I still can't shake the feeling that the team could have done better. The team had a few changes. Wanyama was suspended, so the midfield was now to be Ward-Prowse, Clasie and Davis. In front of Stekelenburg was a back four of Yoshida, Fonte, van Dijk and Bertrand. Cédric dropping to the bench for some reason. As he is turning into one of the best Right Backs around, there had to be another reason, other than form. The front three remained Tadić, Pellè and Mané. 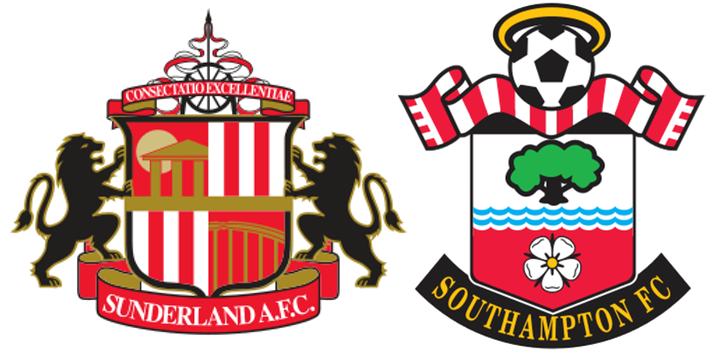 In a thoroughly one sided first half, Saints moved with a wonderful fluency; constantly passing, pressing, probing, passing. At the heart of it all was Jordy Clasie. He is settling in quickly, now he has got over his injuries and is impressing more with every game. Some of the interplay with Tadić in particular was a joy to watch. Whatever we actually paid for him, it is increasingly looking like a bargain. The only thing missing from Saints game was a goal. Some would be quick to criticise our link up play, but that would be to take away from the work Sam Allardyce has done with the Sunderland defence. I know they got a caning last week, but one thing all his teams have in common down the years is organisation. Today they were largely organised in defence. It was just up front they were abysmal. Stekelenburg could almost have taken the day off, although he did have to make one save from Adam Johnson. At the other end the 6' 8" Pantilimon had to make decent saves from both Mané and Tadić, in spite of the improved performance of the Sunderland defence in front of him. The breakthrough when it did come, was a bit odd. Bertrand was in the penalty area, but was covered, when M'Vila came charging in, upending Bertrand and causing the referee to point at the spot. Tadić stepped up and struck a confident shot past Pantilimon, even though the big man guessed right about the direction. 0-1. I was struck by how confident Tadić looked taking that penalty and that was about as good a strike from the spot that I have seen since the days of Rickie Lambert. My, that seems a long time ago. 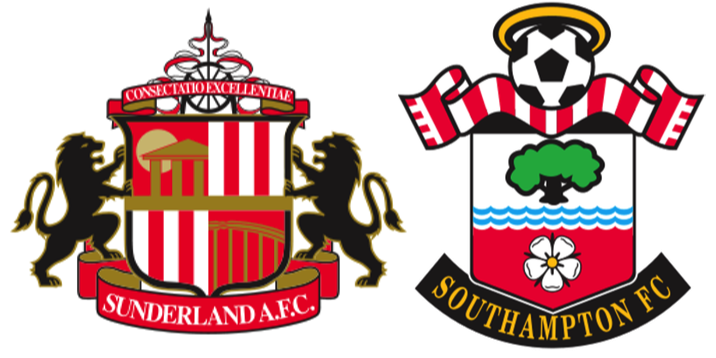 The game still had 20 minutes to run, but in spite of bringing on Defoe and Rodwell, Sunderland went into a collective shell. Koeman then effectively shut up shop, by bringing on Romeu for Clasie and then Juanmi for Mané, who had been booked earlier and was running around looking for a second booking. The final few minutes were enlivened by Ronald taking off Tadić for Caulker. That of course meant that we had all four fit central defenders on the pitch at the same time. The referee joined in the spirit of pointlessness by adding five minutes of extra time, which turned into six minutes. It made no difference, for Sunderland really are hopeless. If Sam manages to turn this shower around, it will be a miracle. In the meantime, Saints continue to improve, without ever hitting the heights. What is needed now is to string together all the little good bits and add some consistency. All the signs are there, just not quite yet.